Happy Thursday lovelies, its new youtube video time again. I’m getting quite good at this regular uploading malarky although I had intended for this video to go up in a few weeks time but I’ve been really poorly over the last week with a kidney infection and in between seeing the doctor and the hospital, I haven’t had much time for filming anything new so I hope you like this anyway. It features lots of products that I’ve bought recently from Lush, including lots of Christmas themed bath ballistics/bath bombs and bubble bars. In the video, I talk about how my shopping experience wasn’t quite how I would like it to be in that I felt quite hounded and as though I couldn’t just browse. The sales associates were all so lovely and helpful and I just sort of went along with it as I didn’t want to appear rude but I think I’ll try shopping online next time. I still absolutely LOVE Lush and their stores and products are fabulous, I think I just like to wander about and smell everything then decide what I want to get rather than that experience being sort of led by someone else. Theres a fine line between being helpful and overpowering I guess but that may just be my perception as the staff are always so lovely in there. I hope that makes sense. 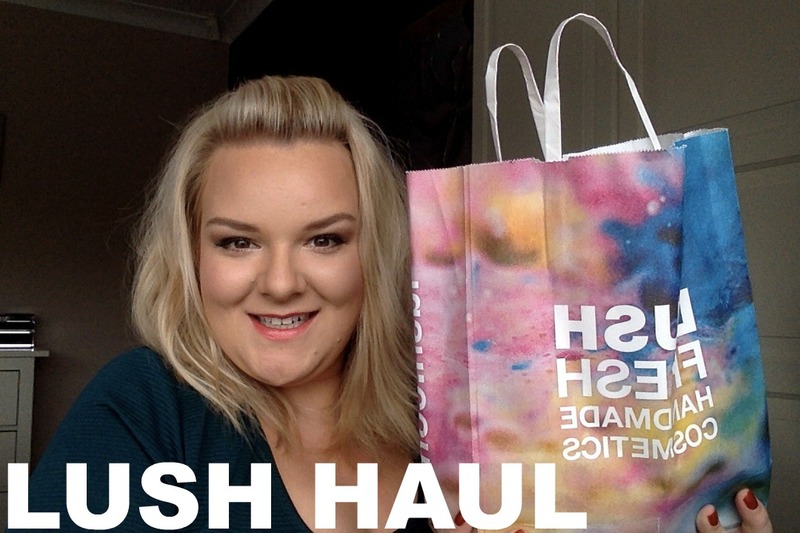 Anyway, here’s the video so that you can see what I picked up in my Lush Haul… theres also a funny moment in there that I nearly cut out but it made me giggle when editing so hopefully you’ll smile at my expense too lol. Previous Post How To Cleanse Your Skin with the Magnitone Barefaced! Fab haul. I love lush they have fantastic stuff in store – great for gifts! I love the Lush products, but I agree about the sales people. If I need help then I know to ask! I loved your haul, I can't wait for the Boxing Day sales. I find the mix of scents in a Lush shop is too overpowering for me. It has been known to cause me to have an asthma attack. I thought my days of buying Lush products were over until I discovered their on-line shop. Now I can indulge without worries. I love the lush lip balms. They are they only ones that don't dry my lips out. OK I really need to get some LUSH products. I have heard so many good things about it. I absolutely love Lush! I can't wait to buy some of the Christmas ones! I'm so glad I'm not the only person who feels hounded in lush. I wanted to have a potter around my local branch to see what the christmas range was like. it used to be such a lovely shop to wander around. In the end I bought only 2 things, because I couldn't wait to get away from the assistant. She was bubbly and friendly, but I started feeling like I was being stalked by a high pressure double glazing salesperson. I had a whole list of people I was hoping to get things for, but like you I'll shop on line, or I'll go elsewhere. I am so sorry but I am still laughing at your video. I think you did so well not swearing. I have never bought anything in Lush as I hate being harassed in store. Every single time I go in I feel pestered. I saw the title of your post yesterday and you inspired me to stop in at LUSH today just to browse. Wow, such cute things! Gurl I freaking love Lush it is my favourite place to relax and unwind with gorgeous smells wafting around the room. Tonight I will be trying out the experiementer can't wait. I haven't been in Lush for ages, must pop in next time I go to Birmingham!